Our planned event for March 12, 2018, has been canceled. Eowyn Langholf, of Wikitree, was scheduled to talk about Wikitree and collaborative genealogy, but due to unforeseen circumstances, won’t be able to be in Fort Dodge that day. We will reschedule the event when she is able to come. 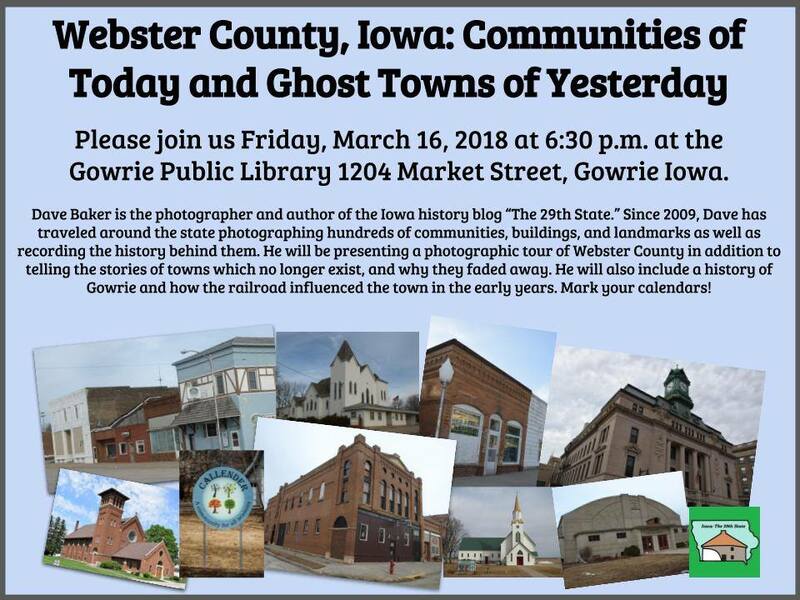 The Gowrie Public Library is hosting a program on Webster County Iowa: Communities of Today; Ghost Towns of Yesterday. The program will be held at 6:30 p.m. on March 16 at the Gowrie Public Library, 1204 Market Street. We had a great meeting today. Janet Hubbell came to speak about recording your memories. 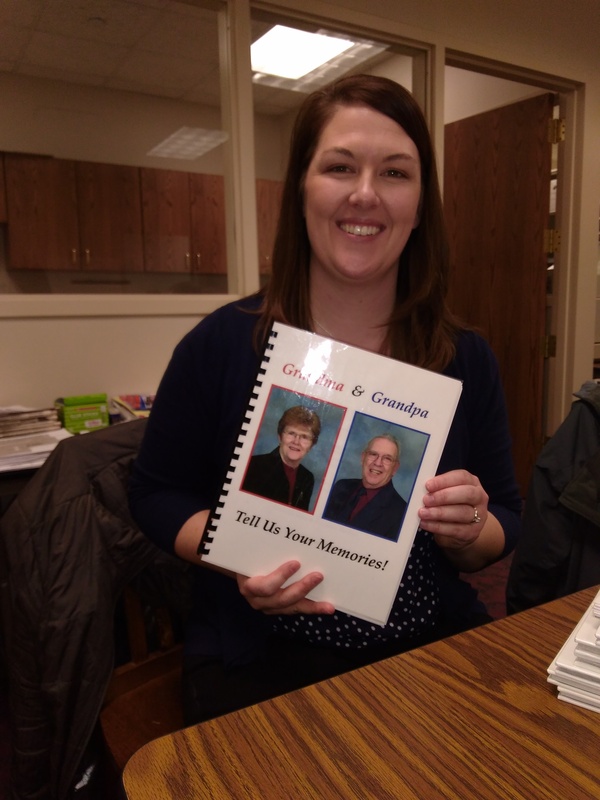 She showed us this book she made about her parents and projects documenting her family history. Our meeting is at 1:00 PM. Our speaker is Janet Hubbell from Gunderson’s Funeral. She will be speaking about how to record your memories. Location is the Fort Dodge Public Library in Room 134. Due to the weather, tomorrows meeting is being rescheduled. The meeting will be held on Monday, Feb 12 at 1 pm.